A great great introduction from the Sequim, WA nursery Desert Northwest. Incredibly showy in bloom this easy to grow shrub produces 4″ long 1″ thick moonlight colored brushes in late spring and early summer. Moderately fast growing shrub to 7′ tall and 3′ wide in 6 years. The pretty, fine foliage is an execptional ochre green and contrasts beautifully with the light taupe colored bark. Full sun and average to rich soil with light but consistent summer water. Drought adapted. 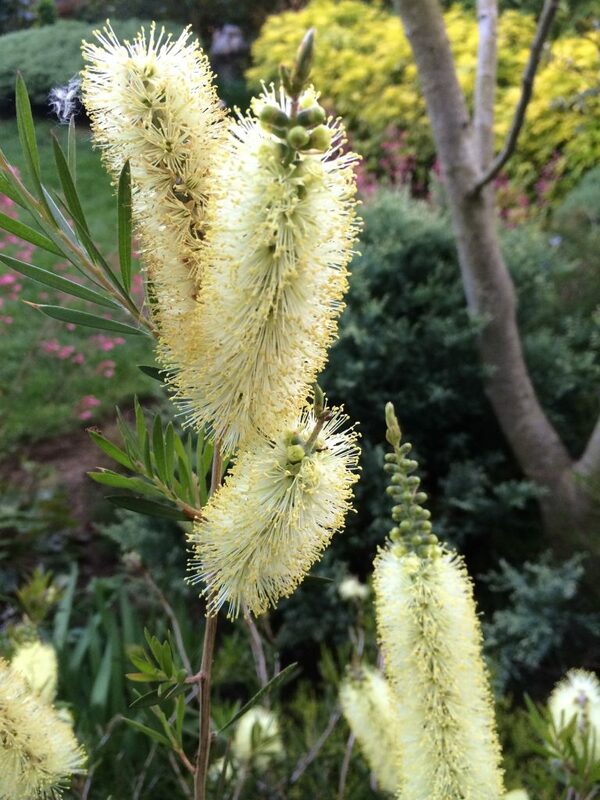 Considering the size of the brushes this is an exceptionally hardy Callistemon taking 5ºF when established. If there is any confusion about which species this appears to be- the foliage is unlike C. pityoides. but the large brushes are dense and fragrant just like that species. A hybrid is likely. 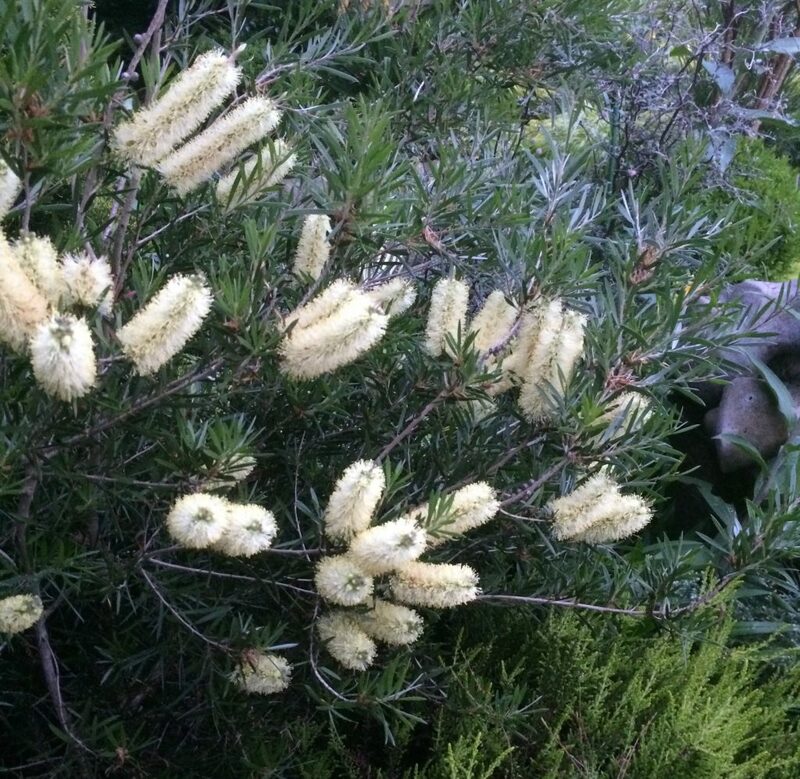 Great shrub, thanks Ian.